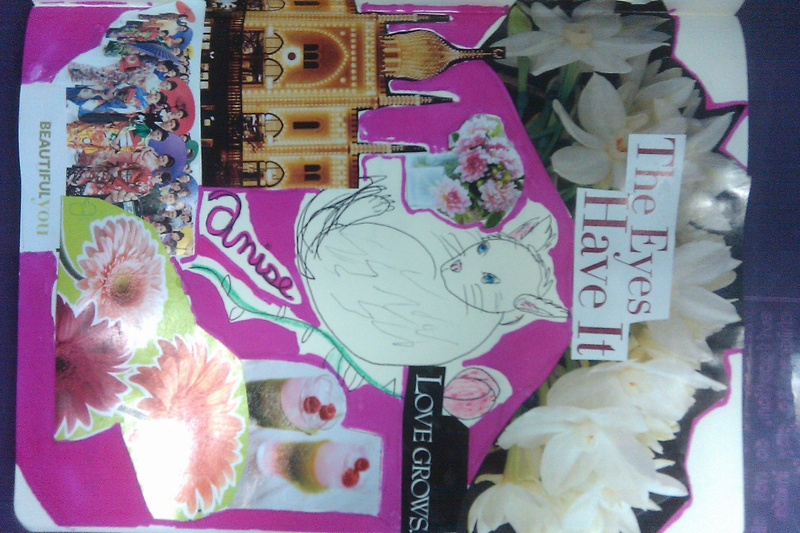 This is a mixed media collage I made for my youngest cat, Anise. 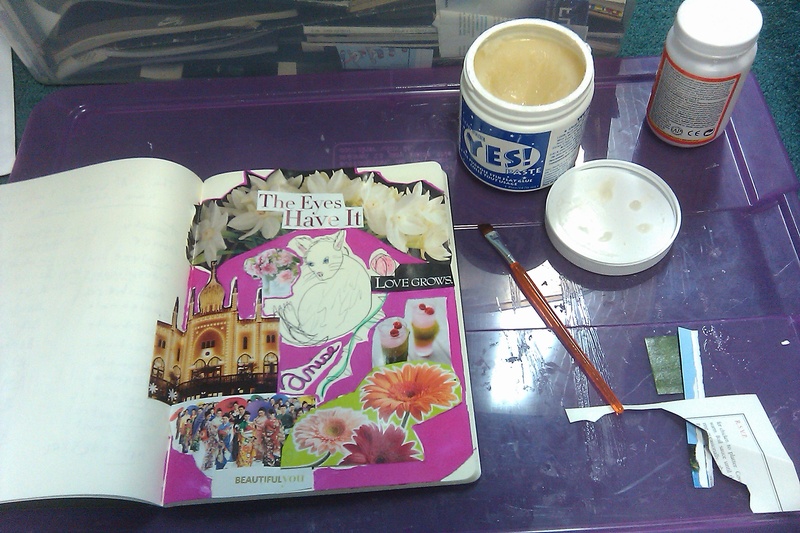 I started with a sketch I had done in my journal and encircled her with pieces cut out from a magazine and adhered with YES! Paste. I finished off with a pink permanent marker. Here is a shot of my current workspace. I am in the process of moving, so I have to make do with what I have with me! I like that this is in a journal.Will it stay as a journal? Will you apply a theme or comment? I think little journals/books are great. well, i want to do a whole journal, but this was a journal that was already full and i’ve been adding to the pages i sketched on :). need to get a blank journal soon!